Clean Cut Media is an award-winning video production company right on the edge of Bushy Park in London. It’s a great place to visit if you want to have a quick run in the park or to nip over to Hampton Court Palace. The guys at Clean Cut called me in to write some new web content to showcase their services. I wrote various new web pages as well as ghost-writing a series of blogs. 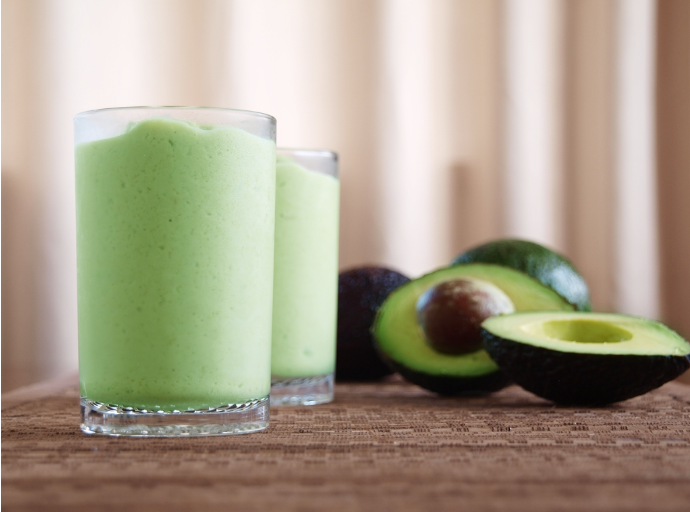 The picture you see here is of an avocado margarita that features in a travel tips blog. The crew tried the cocktail on a visit to Austin, Texas. Austin’s motto is “Keep Austin Weird”, and maybe serving avocado margaritas is an integral part of that strategy. 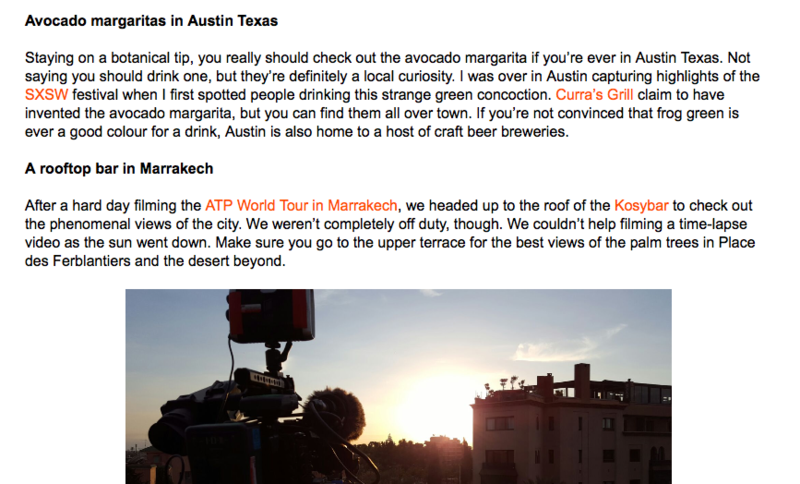 Travel tips from the crew – including where to find the best avocado margarita in Austin, Texas. 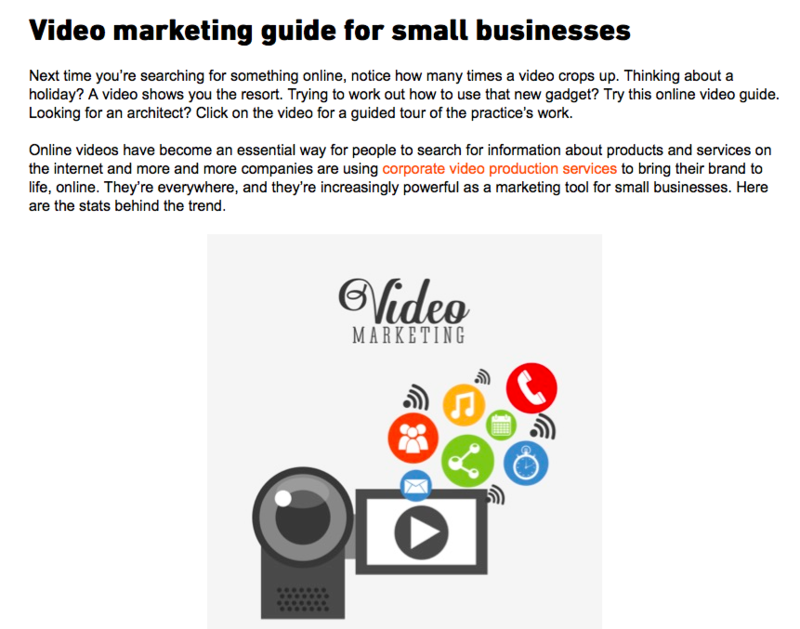 A video marketing guide for small businesses – how to make the most of this powerful new marketing trend. 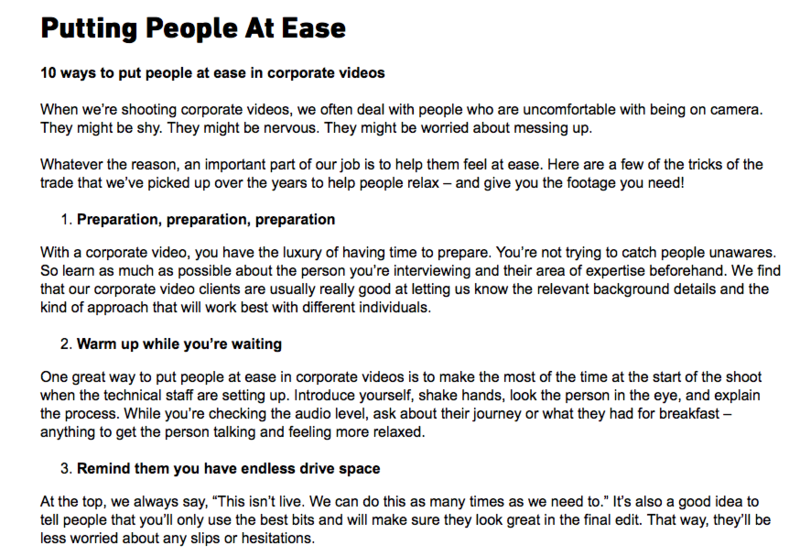 How to put people at ease on camera – tricks of the trade to get the best out of people who are nervous about being interviewed.